Added on June 26, 2018 by ROSEGALLERY. 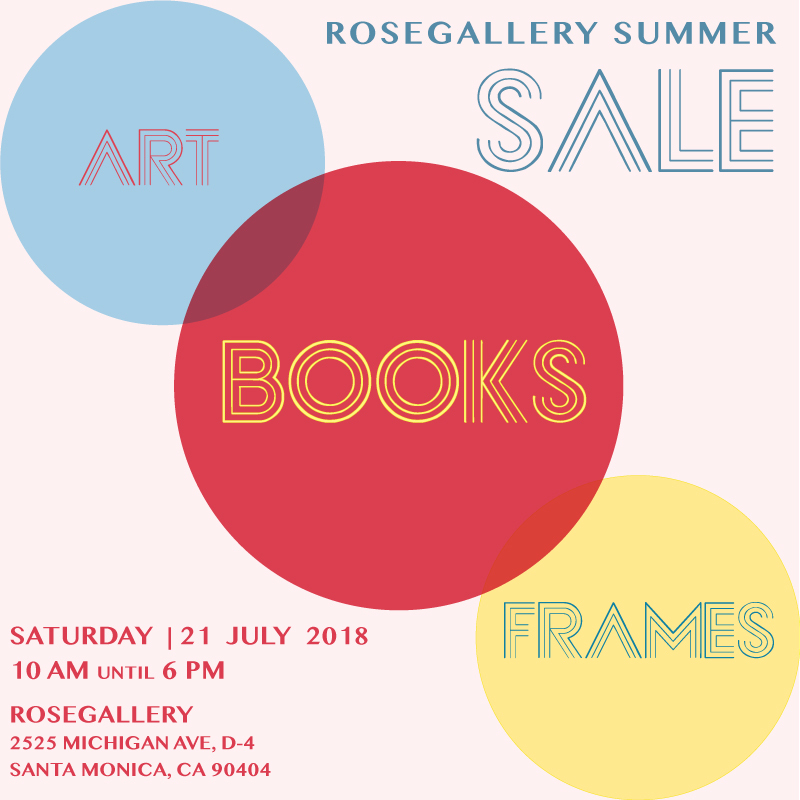 Please join ROSEGALLERY for a special sale of books, frames and art! The event will be a part of Bergamot's Summer Celebration. Check our Instagram highlights for special previews of the sale! Added on September 27, 2017 by ROSEGALLERY. About fourteen years ago while traveling on a road trip through Northern Mexico, Zeke Peña brought only one book with him: a small, pocket-sized book of photographs by Graciela Iturbide. A few years ago, the works of Graciela Iturbide entered his life again when he was presented with the opportunity to illustrate Photographic: The Life of Graciela Iturbide, published by Getty Publications. It was not until he was preparing the proposal for the book that he made the connection between the subject of his most recent project and the photographs that accompanied him throughout the landscape of Northern Mexico. In the pages of Photographic, Peña recreated Iturbide’s subjects in a graphic form, allowing the reader to understand the narrative around Iturbide’s images. 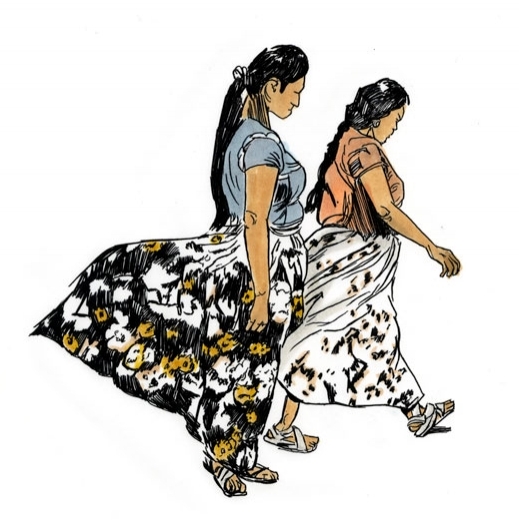 In one of Peña’s drawings, two women from Juchitán walk across the composition with their skirts flowing behind them as they move forward. 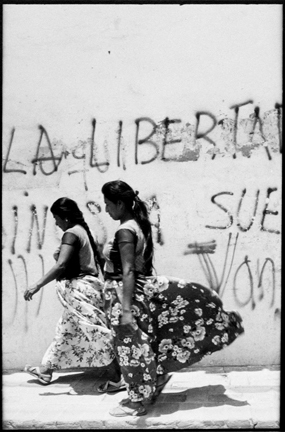 The two walking women originate from a photograph in Iturbide’s series from Juchitán, a body of work that greatly resonates with Peña both because of the indigenous community’s resistance to western colonial, patriarchal influence and the subjects’ proximity to his own cultural and racial identity. Through the research that Isabel Quintero — the author of Photographic and Peña’s collaborator — conducted, Peña learned in great detail about the lives and history of the women in Juchitán. Within a community where women owned property and had enormous agency relative to in western culture, the women in Juchitán moved with both power and a joyful sense of ease, which is felt strongly in Iturbide’s photographs. As a storyteller himself whose work is rooted in the oral histories of people of the border region, Peña felt the impact of Iturbide’s subjects and the mastered methodology with which she approached and photographed them, continuing to pass oral histories through a photographic form. Through the respect that Iturbide gave her subjects and stories, she spotlights the indigenous cultures she photographed in intimate and true detail. In Peña’s work from Photographic, he derives the subjects from Iturbide’s photographs while bringing his own discoveries and connections to the page, highlighting the intimate narratives that play through the works of Graciela Iturbide with his own pen. Added on December 30, 2015 by ROSEGALLERY. 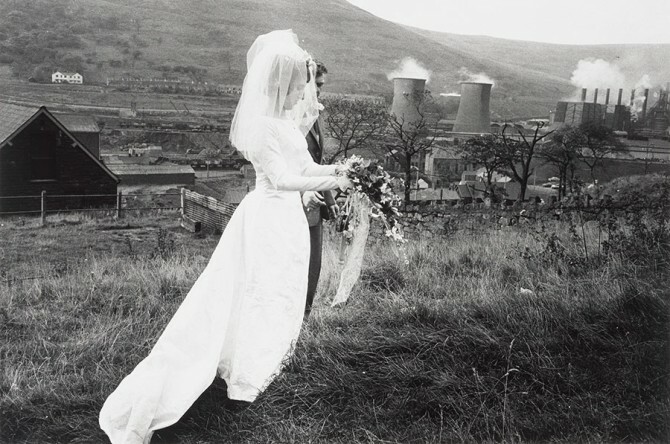 The term “shooting from the hip” could have been invented to describe Mark Cohen’s style of street photography. 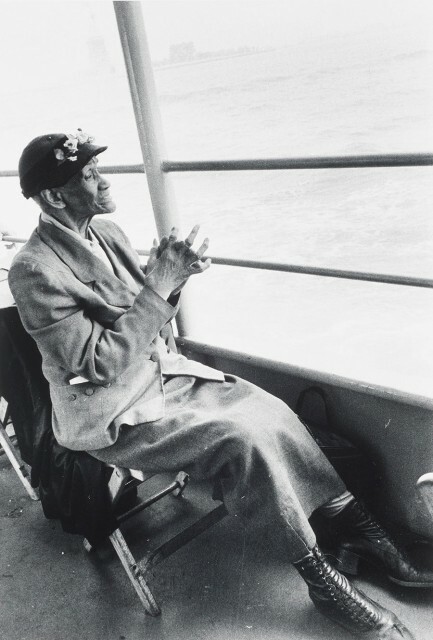 Like many of the 1960s pioneers, Cohen likes to surprise his subjects, capturing them as they pass by and often without them even being aware that they have been photographed. Added on December 4, 2015 by ROSEGALLERY. Daisy Woodward discusses the legacy of William Eggleston's mid-1980s work and his new 10-volume edition of The Democratic Forest, published by Steidl. "I was treating things democratically, which of course didn't mean a thing to the people I was talking to. I already had different, massive series. I had been to Berlin and to Pittsburgh and completed huge bodies of work. 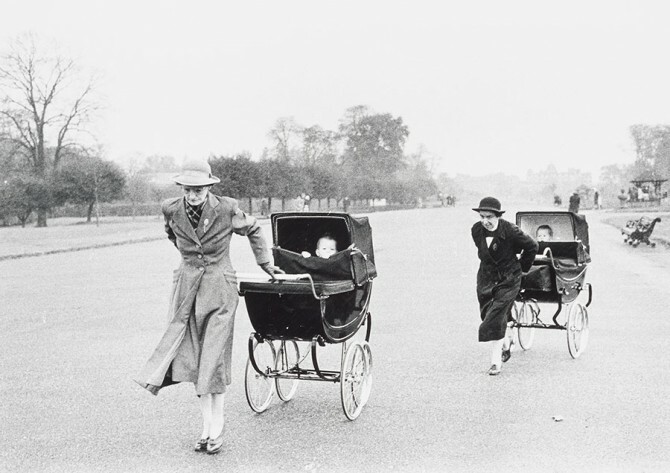 From that moment everything from the boxes of thousands of prints made cohesive sense for the first time." From the AnOther Magazine online posting from 3 December 2015. 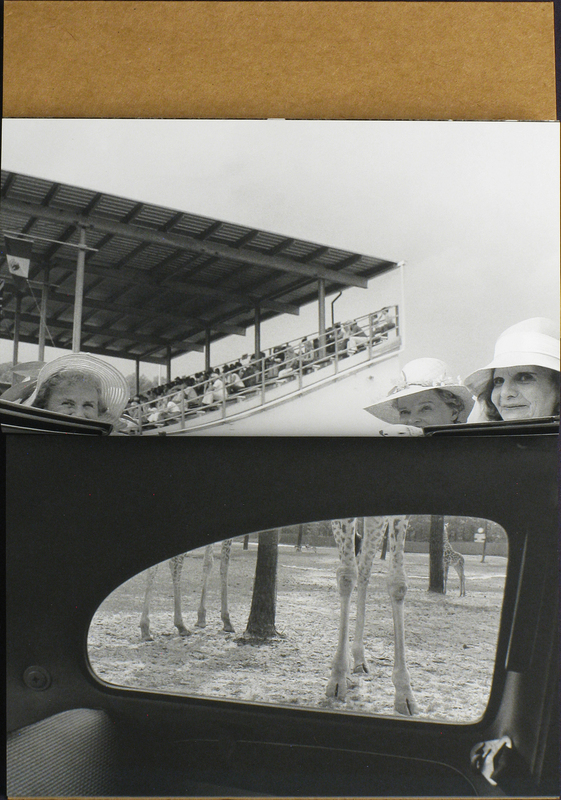 For more about William Eggleston visit his artist page.